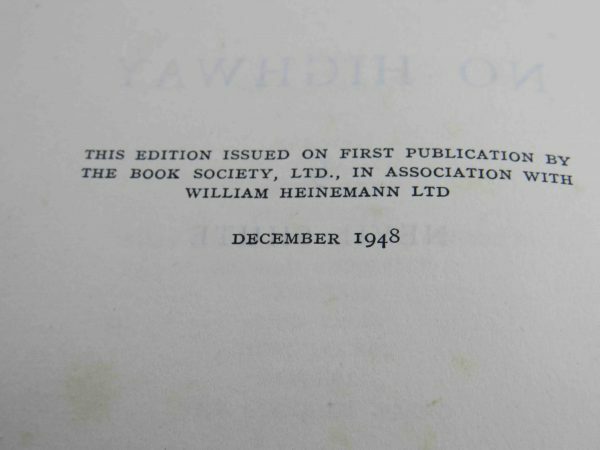 A first edition, first printing published by Heinemann/Book Society in 1948. A near fine book without inscriptions. SIGNED as ‘Nevil Shute’ on the half-title page, in a very good+ unclipped wrapper with some light chipping to the spine tips (some internal repairs therein) and to corners. 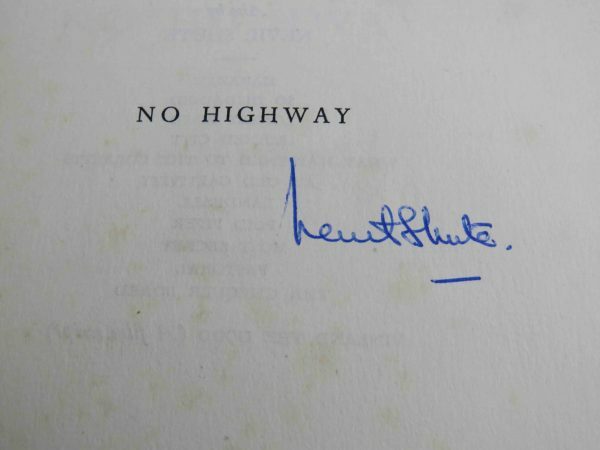 Rare, especially so signed simply as Nevil Shute.